North American Indian Missions, Inc.
Wilson received an invitation to speak at a pastor’s conference in a remote Tikuna Indian village in Peru called “God’s City”, in the Jungle. 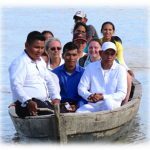 After several flights, taxis and boat rides up the Amazon River, he arrived to see hundreds of villagers, pastors and visitors from neighboring villages waiting in eager anticipation to hear him speak. After sharing in the conference, Black Buffalo sat down with a local missionary and soon discovered that he was in drastically poor health. Black Buffalo offered to pay for a ticket to transport him back to the States for treatment. 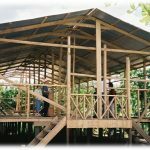 Soon afterward, our organization gave their organization some substantial financial aid to help them in their mission of building churches in villages up and down the river, and to provide for some very present needs they had accumulated. Because of his poor health, that local missionary was unable to return to the Amazon to oversee his organization. 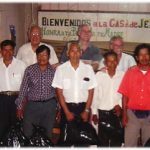 So a few years later, after spending much time developing a strong relationship with their missionary personnel, we “adopted” their organization and Amazon ministry into Black Buffalo Global Ministries. Our director there on the field is John Fenske. John has a true calling from God to live and minister in this vast area accessible mostly only by boat. 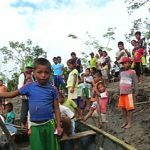 He travels the River, ministering in villages, assisting pastors with construction projects, guiding mission teams and simply helping spread the gospel message in any way possible. Our nurse, Rebekah Stence, also works and ministers in the Amazon. 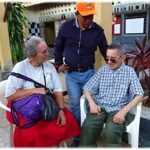 Though she has her own support base here in the States, she and John partner together in missionary efforts in the region. She loves to travel to remote villages, nurse the people back to health, and while doing so, share the gospel with them and teach them about Jesus, the Great Physician.